The company behind plans to create a Margate Monopoly board says the response has been so huge that they will also create a pack of Top Trumps to be released at the same time. Winning Move announced plans for the Margate board game last month and visited the town as part of its research to find out which landmarks residents thought should be included. 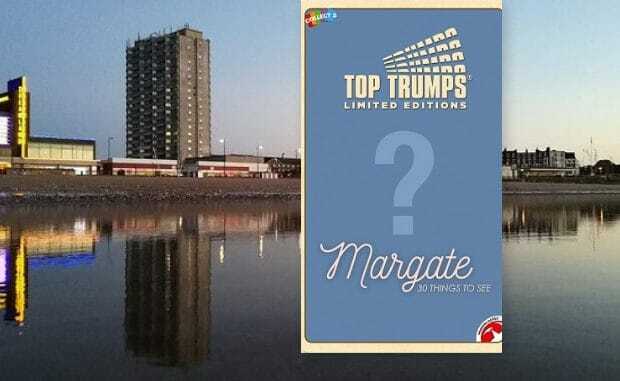 The game is due out in March 2019 and now people will also be able to get the Top Trumps featuring 30 Margate landmarks. Winning Moves sales executive Jennifer Lau, who was brought up in Thanet, said: “We’ve had such a massive response to the announcement of Margate Monopoly that we decided to make a Margate Top Trumps which will be released around the same time! Popular suggestions include Margate character Maurice Morris as a Monopoly playing piece, Athelstan Road, Shell Grotto, London Tavern, Fez and the Harbour Arms, Turner Contemporary, Margate Museum, Arlington House, Dreamland, the clock tower and even Desperate Dan’s and Ronnie Scott’s shops.